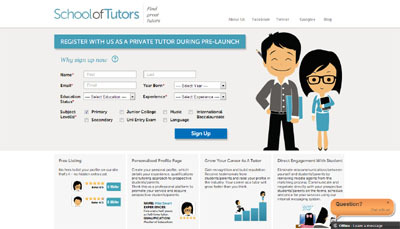 School of Tutors is an one-stop online marketplace for parents / students to meet and engage tutors. Clean and neat platform for parents / students to easily search, browse and engage tutors by reviewing the individual tutors’ profile. Think this as an “Airbnb” for tutoring services – where Parents / students can DIY and engage tutors without the need to engage middle agents. School of Tutors remove the need for middle agents to match parents / students to tutors. Using our online platform, parents / students will be able to search, browse and engage the tutors directly and thereby greatly reduces the cost of engaging an agency to perform the matches. Our platform features individual profiles for the tutors and creates a transparent marketplace for parents / students to select tutors who best met their respective requirements for each tuition assignment.